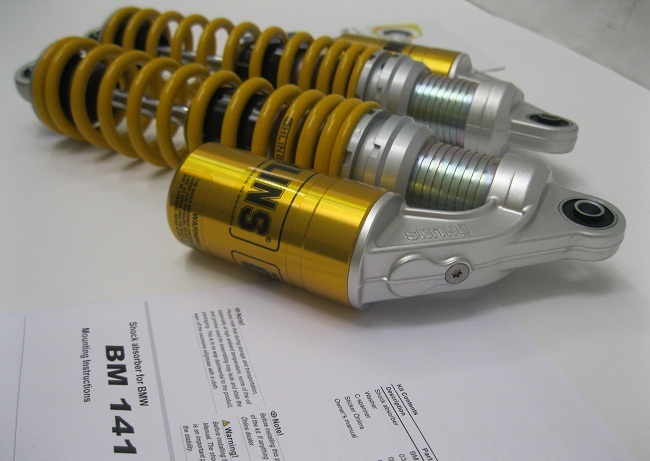 Ohlins super popular and best quality on the market BM141 S36P shocks! 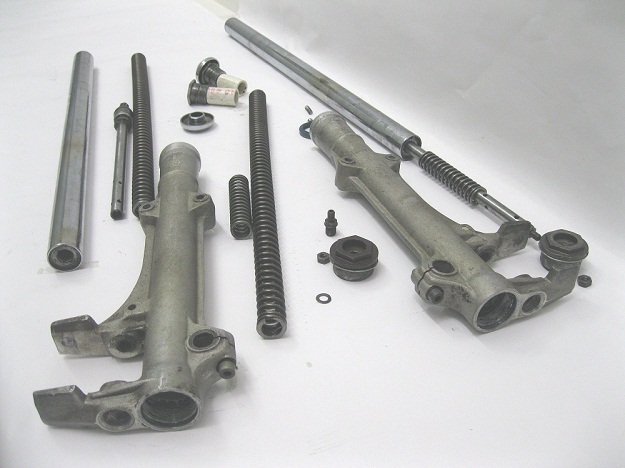 Piggyback design with divided fluid and nitrogen via internal floating piston in reservoir for fade free long lasting performance, easily rebuildable and tunable with optional springs and valving per rider weight and conditions. 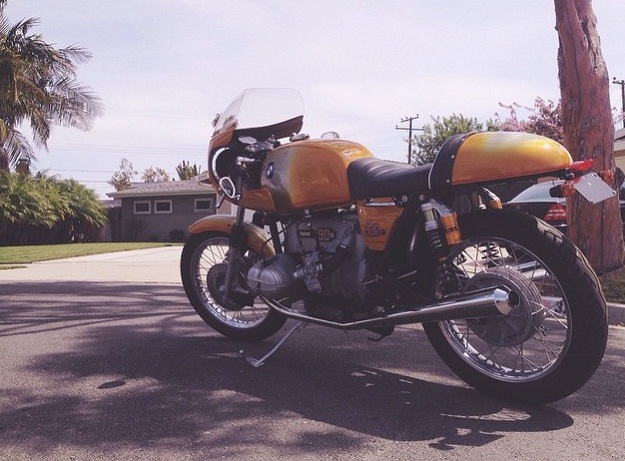 The BMW R90S a 900cc sport motorcycle produced by BMW from 1973 to 1976. 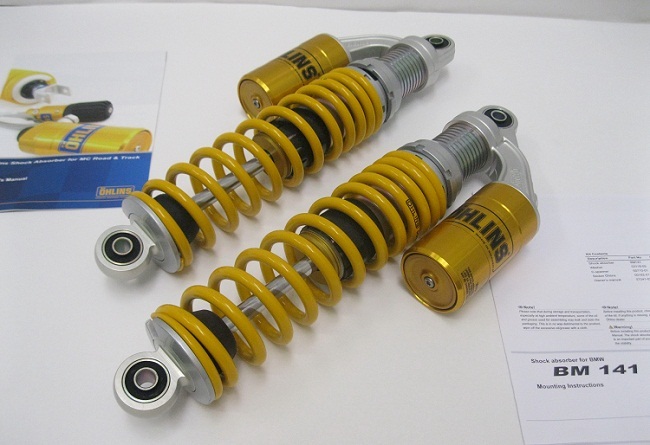 Yes, Ohlins Shocks are also available with yellow springs. 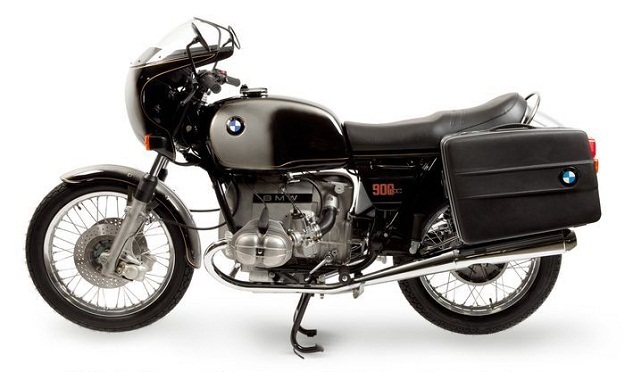 BMW commissioned designer Hans Muth to oversee the R90S, which became the flagship of the boxer range. 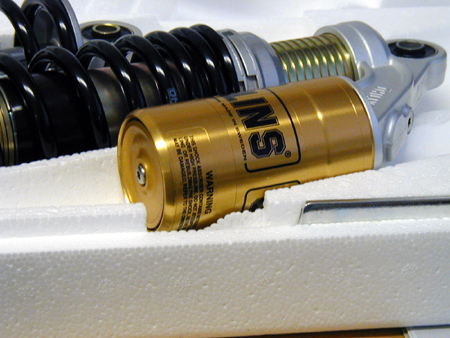 Preload adjustable with Three position cams and clips up and down the shock body, so any spring setting you like can be achieved. 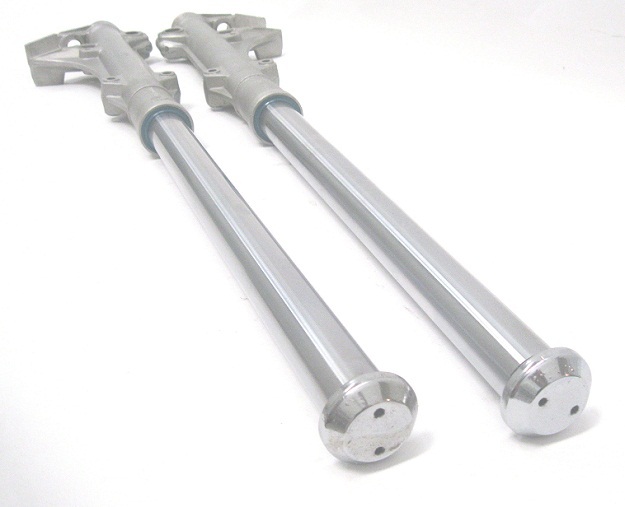 There are many dated forks out there like these above that need some updates, these are the standard 36mm Sachs conventionals. 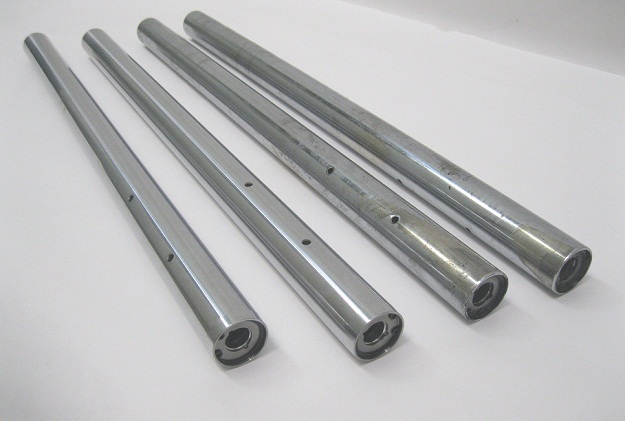 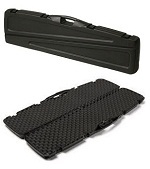 With the standard soft fork springs, people added some primitive preload, the best solution may be an optional firmer progressive rate that has aluminum preload spacers. 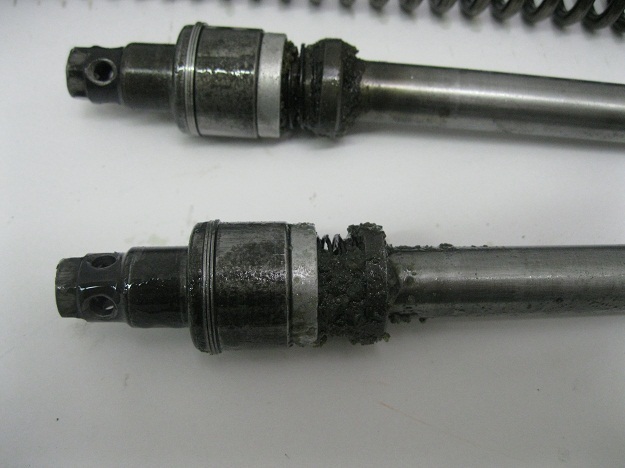 The standard fork damper rods can collect this kind of debris. 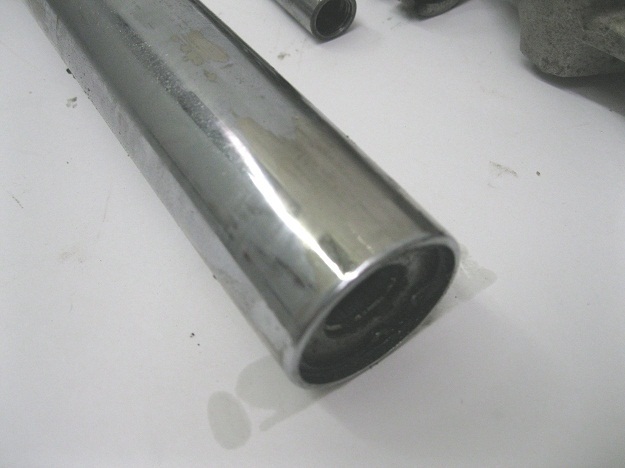 The inner chrome fork tubes can loose their chrome all over from wear and exposure and can still be replaced today, we prefer original OEM BMW tubes for best results while available. 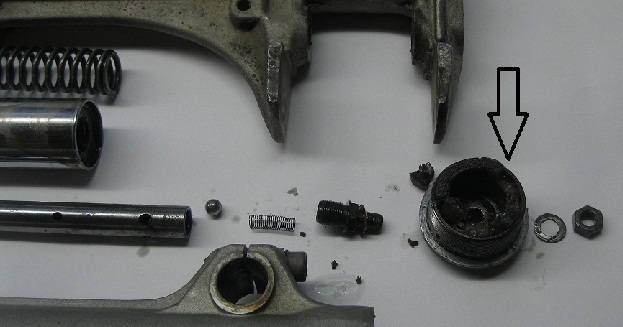 Replacing the bottom out bumper and all soft aluminum seal and crush washers is mandatory at rebuild time. 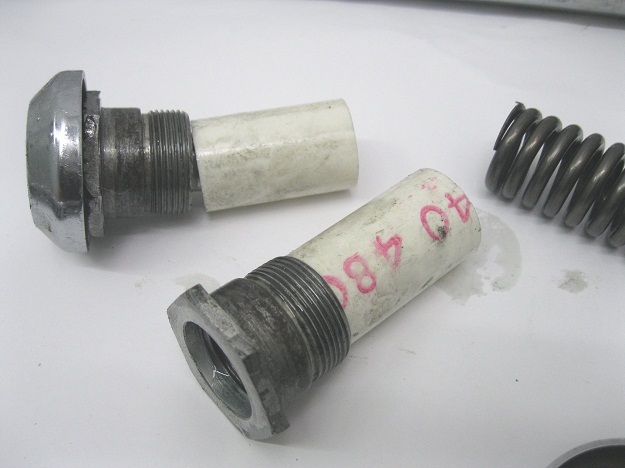 So Above left is the NEW BMW Tubes, On the right are the worn out old ones, they can not be used. 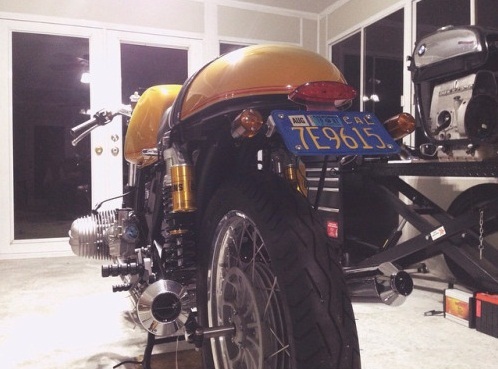 Above is when you assemble with Brand New BMW Tubes, SKF Blue fork Seals and all the new little stuff inside forks like the Aluminum and copper seal rings everywhere, bottom out bumpers in end cups, damper rod ring bands, etc. 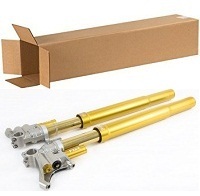 and New Optional firmer progressive fork springs with aluminum preload spacers.